During your stay with us we provide free internet - 2 computers for our guest and WI-FI. 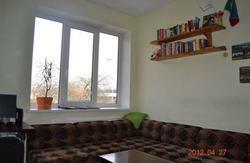 A cup of coffee you like in Cafe Kubu, tea in hostel, city guides, maps, DVD, are free as well. Our welcoming staff will help you to organize your tour and can provide all information you need about Klaipda's sightseeing, day & night life. 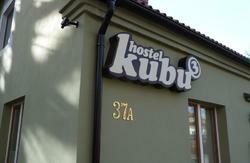 Come to Klaipda and enjoy your stay in Hostel Kubu! Check out before 12.00 - If your departure is later, you are more than welcome to utilize the common areas of our hostel during that day. Head west on Priesto?io gatv? toward S. N?ries gatv? Turn left onto S. N?ries gatv? Turn right onto Vilties gatv? Turn right onto H. Manto gatv?